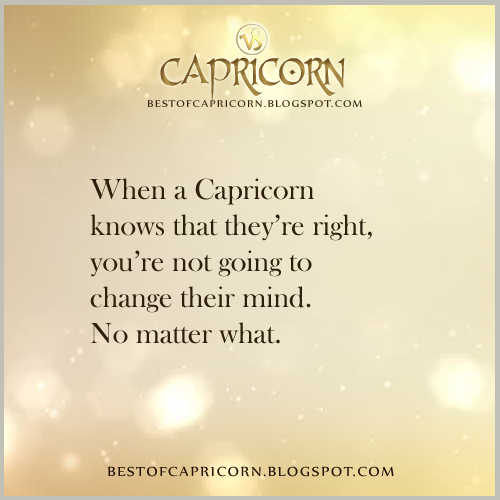 When A Capricorn Knows That They're Right... | Capricorn Life - Capricorns Rock! When A Capricorn Knows That They're Right, you're not going to change their mind. No matter what.